Kris Dewitte is one of Belgium's most famous photographers. He worked as a set photographer on many international films, but is mainly known for his portraits of Hollywood celebrities. In his spare time, however, he loves to photograph the real stars of this world: cats. His latest subject was this kitty near the Louvre in Paris, France. 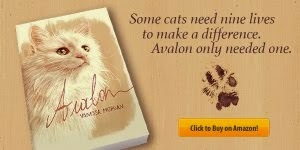 Purr-chase my new book Avalon: a Heartwarming True Cat Story. Nice shot - well captured! Beautiful! He's surveying his domain. Kitties ARE the real stars! This is such a beautiful photo! Very cool shot! These cats are such world travelers! Kitty just wanted to see the Mona Lisa! Le chat semble être en train de surveiller son royaume.... le Roi des chat ! That is a darn cool photo! Great capture! That cat is where many would like to be. its a beautiful capture and he poses well!! WOW.....what a view that kitty gets to have!!!!! Wow! Looking down from lofty height! that photo is quite interesting, love it! Great photo! 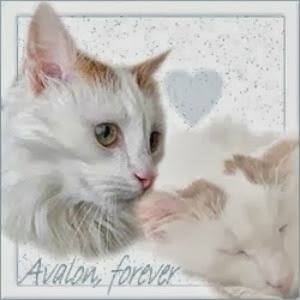 I love cats!!! Great picture! You have to be on the right place and right time to take this one! Very cool photo! Makes the cat look giant! 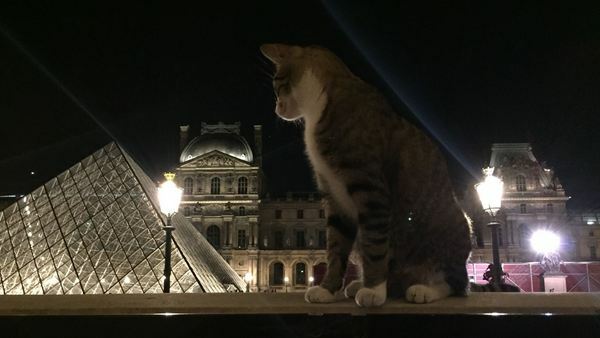 Très belle photo d'un chat de Paris ! That is an amazing shot...I'll have to look him up!